Violin is surrounded with millions of myths, stories, rumors and secrets. Unfortunately, nobody knows for sure, when the first violin was made. Moreover, there is a certain polemic between modern historians as to the name of the first designer of this instrument. Many researchers suppose that the first violin was made in the end of the 15th century by Gasparo Bertolotti da Salo, a famous violin and viola maker from Brescia. Therefore, Italy is the country which gave us the miracle of violin. It is also known for sure that viola, another bowed musical instrument similar to modern violin in size and pitch range, was an ancestor of violin. During the 15th – the 16th centuries, several types of violas emerged: one was played when located between the legs of the player, one was played located on the player’s knees, one was supposed to be placed on a sort of stand for more comfortable playing, and, finally, the last type of viola was placed on the player’s shoulder. This very last type became a predecessor of modern violin. Even when violin earned a great popularity among the musicians, viola was still used by a lot of artists, especially in the upper crust world. Bertolotti‘s initiative was developed by the Amati family from a small Italian city Cremona. Andrea, Antonio and Girolamo Amati created a great deal of violins and made very important innovations to the structure and shape of the instrument. Thus, they improved the shape of upper and lower bouts, changed the shape of the f-holes and created more shapy neck of the instrument. Also, they created a special varnish for their violins, which is very important for sound tone and strength. 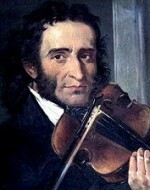 Niccolo Amati is the most famous violin maker from this family. He became a teacher of another prominent violin maker, Antonio Stradivari, whose instruments are supposed to be matchless masterpieces of the art of making violins. Stradivari created more than 1,000 violins, and about 600 of them are preserved till modern times. Stradivari’s violins are supposed to the the best instruments with very soft and beautiful sound, which, by the way, did not change at all for more than 300 years. Another significant violin-makers belong to the family of Guarneri del Gesù, who also lived in Cremona. In the end of the 18th century violins reached peak of their popularity due to the efforts of numerous virtuosos, who proved that it is possible to play the hardest compositions. In those time violin was introduced to symphonic orchestras, where it still plays the most important role. In the 19th century, the art of playing violin was completely reformated and reshaped by agruably the most gifted and memorable violinist, Niccolo Paganini.